The Açaí is a blue-violet coloured berry which originates in the Amazon rainforests. Traditionally used by native Brazilians for its extraordinary therapeutic capabilities, it is now considered a super-food capable of conferring outstanding energy and resistance. Thanks to its powerful beneficial effects, it is no longer used only as a staple food for the Brazilian population, but is also taking Europe by storm. It is the huge antioxidant content in the plant colourants, i.e., anthocyanins, but also the presence of vitamins and minerals fibres, which make Açaí an extraordinary food. 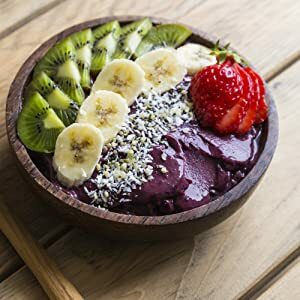 As a so-called super-food, Açai can confer extraordinary energy and resistance, enhancing the brain function whilst favouring the health of the executive system and strengthening the immune system. 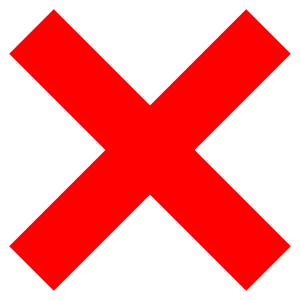 It has a draining effect that accelerates toxin elimination. It contains high levels of essential fatty acids such as omega-3, omega-6, and omega-9, as well as monounsaturated oleic acid. It is rich in antioxidants and contains 19 healthy amino acids for our body. Contains dietary fibre to facilitate the digestion process. It is rich in minerals and vitamins such as calcium, phosphorus, beta carotene, and vitamin A and E.
The best açaí berries come from organic farming. The açai fruit has a pleasant taste, similar to that of blueberry and chocolate, and can be thus consumed like any other fruit. However, it is hard to find it on the market in its raw state, even if it is now commercially widespread as a beverage supplements or in powder form. The organic açaí berry powder is considered the best way to incorporate this precious fruit into your diet. As such, the açaí delivers numerous health benefits due to its content of antioxidant vitamins, amino acids and minerals, including calcium, potassium, and phosphorus. 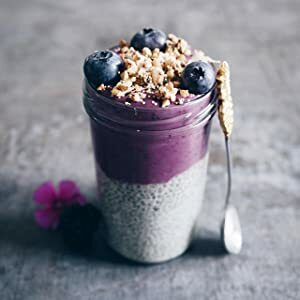 To ensure an easy and pleasant consumption, the açai berry powder must be dissolved in water in smoothies or breakfast drinks. – in tea or as a juice. WHAT IS THE DIFFERENCE BETWEEN FREEZE-DRIED AND SPRY-DRIED ACAI? It is a process of freezing and lyophilisation (also know as freeze-drying), whereby the acai is processed at low temperatures, preserving all the properties of the berry, and keeping the product 100% natural. Although the freeze-dried method is certainly the best one to transform pulp into powder, it is also the most expensive. For this reason, the cost of the powder thus obtained is considerably higher than that processed via the spry-dried method. In this processing method, the pulp is processed at high temperatures, damaging therefore the nutritional properties, colour, and flavour of the acai. What is more, attaining a soluble and powdered product demands the in-process addition of Maltodextrin, which yields an acai product that is no longer 100% pure and natural. The palm of Açaí grows near the equator, albeit it is in the Amazon basin that this plant is clearly prevalent.The palms of Açaí can reach a height of 15-25 m; on flat areas, they remain relatively lower, attaining notable heights where the vegetation is thicker. A single seed can yield up to eight trees. It is mainly found in the flood plains. or in the fluvial regions of the Brazilian Amazon basin.It is an evergreen palm formed by several thin stems, at the top of which we find up to fourteen pinnate leaves – typical of the palm tree – arranged in a crown. The pulp also provides the juice that is that staple food of the Amazon. 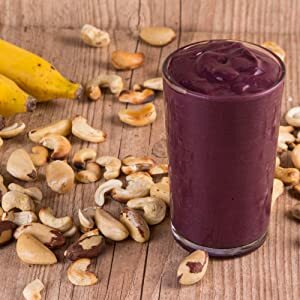 Açaí has ​​a very particular taste, and its regular consumption provides strength and energy. Our Açai powder is 100% pure and organic. It is produced exclusively in Brazil, and is approved by the Supervisory Board of the Ministry of Agriculture. At NaturaleBio, we pay particular attention to selecting all our organic products. The best açaí berries come from organic farming. The fruit of the açai has a pleasant taste, similar to that of blueberry and chocolate, and can be thus consumed like any other fruit. However, it is hard to find it on the market in its raw state, even if it is now commercially widespread as a beverage supplements or in powder form. The organic açaí berry powder is considered the best way to incorporate this precious fruit into your diet. Enjoy a perfectly rich and nutritious breakfast of a tasty fruit salad enriched with cereals and dried fruit. Add açaí powder to blended fruit or yoghurt for a soft and creamy texture and delicious taste. Mix the yoghurt with coconut milk in a bowl. Add the açaí powder and continue to mix to a smooth and even consistency. Sweeten with honey and stir again. Cut the coconut into thin strips and the peeled banana into slices. Sprinkle the fruit over the mixture and finally add the cereal or muesli. This dish is packed with energy and is perfect for sports and healthy eating lovers. It will reduce your sensation of hunger and will keep you going for a long time. Smoothies are well-blended, dense and creamy fruit drinks, usually served cold. There are many different recipes, depending on the type of fruit you want to use. Cut the apple and peaches into small cubes and blend with all the ingredients to a creamy mixture. If too thick add a little more milk. Crush the banana to a puree with the help of a fork. Mix the banana puree with your muesli and finally add the yogurt and açaí.